This is all true when it comes to website development. One big advantage with cost is that many smaller countries can charge lower rates, sometimes shockingly lower. According to QuitLabs's "Average Hourly Rates for Offshore Development Services: Software Development Costs Guide 2019", workers in America can charge for as much as $190 per hour while ones in Asia and places like Mexico and Peru will only charge around $20 - $30. That's a big difference! Are your own resources enough to handle the project? Are you able to commit enough time? Does the project involve areas of expertise that you aren't confident in? Do you need a new perspective on the project? Do you have other projects that are higher in priority? Of course, outsourcing isn't always the perfect answer. When deciding whether to outsource or not, make sure you are prepared to deal with the issues it brings. Processes not being streamlined and instead taking longer than before. Authority over the project and its processes not being clear, leading to delays and conflicts. Significant disparities in timezone, culture, language and education. Confidential information being leaked or misused. Dependence on the service provider. Communication is key. While technology has made it easier than ever, it can still be a challenge. Make sure there is a stable channel of communication between the parties involved and make things as clear as possible. If you are planning to outsource in the long term, be aware that this means the service provider company's well-being will then be tied to yours as well. It isn't easy to just switch over to another company. If you've decided you want to outsource. You'll need to figure out a couple of things. What exactly do you want? Emphasis on exactly. What's clear for you may not be clear for the outsourcee. Start off with being as clear as possible with any specifics your project requires. If you're looking for a website redesign for example, even the smallest of details should be included. If you want social media buttons on each page and you want them to all be round, then make that clear. Lay out your expectations for what the website will look like when it's done; and be as verbose as possible if needed. All those specific instructions are there for a reason, right? Make sure the outsourcee understands those reasons as much as you do. You'll want to close the unfamiliarity gap as much as possible. It's always worth investing some time in researching how much other companies are paying for the same thing you want to get. Be careful of "too good to be true" prices and companies because more often than not, they are just that. If you want to go as low as possible in terms of financial cost, be prepared to be given an "as low as possible quality" project as well. Once you have a good idea of pricing. It's time to collect quotes. Personalized ones are always better as they are more accurate. Quotes can also give you an idea of how much the outsourcee understands your needs and if what they're offering are cost-effective. Once you've decided on what company to work with, prepare some questions and answers. Talk to each other. Constant communication is essential. You'll want to do regular check-ups to see how the project is going and if time expectations are being met. However, be open to change and hear out their valuable input. Remember, one of the reasons you hired them is because you trust their expertise. If you're happy with how the project came out, stay in touch. If you need more related work in the future, you'll save a ton of time working with the same company since you'll be skipping the whole ramp-up period that you otherwise would have to go through again with a different company. If you were unhappy with the product, you'll have to find another company to work with. It may seem costly as first, but if you're focused on value instead of price, the short-term savings you'll get by staying with your crappy company won't be worth the long-term ones you'll get by opting for a higher-quality company. Whether outsourcing is an option for you or not depends on your project's scope, how costly it is compared to doing it in-house. For simple websites, in-house would usually suffice even if you only have a one-man web developer team. If you require more however, consider outsourcing, you can use your existing staff as project managers to make sure the project develops in line with your expectations. Make sure to communicate clearly before, during and even after the project. 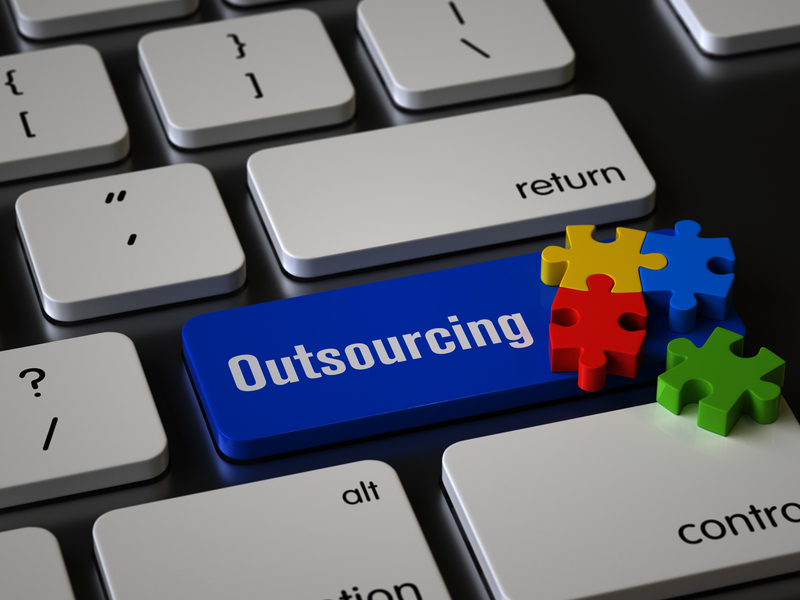 If you find a good outsourcing company, you might save a lot of money for as long as you work with them.